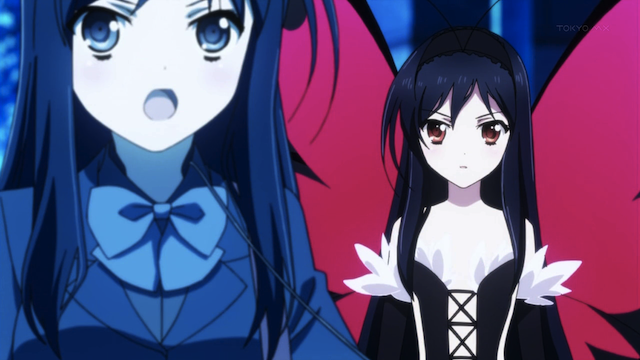 Kuroyukihime watches over her own shoulder as tragedy strikes. 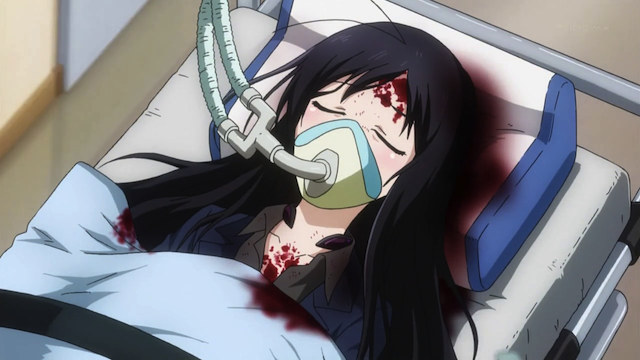 I was thinking about Accel World episode 4 today, while crossing the street (and trying to avoid being hit by a car). This episode is quite impressive in a way. It could almost pass for the perfect third-to-last episode. We see the limitation of “bursting” as well as the ultimate burst mode, which can only be used once. The female romantic lead is put on life support. The mystery villain appears, and he turns out to be the hero’s childhood friend. If this were the third-to-last episode of the series, the next episode would be consumed by the battle between Haruyuki (Silver Crow) and Takumu (Cyan Pile), with a cliff-hanger ending. The final episode would reveal the hero’s eventual triumph, as well as his tearful reunion with his true love. 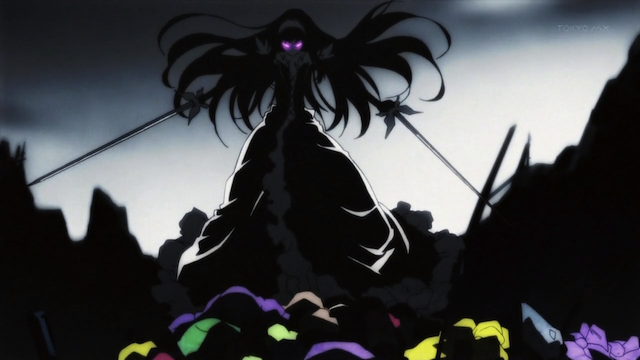 Black Lotus stands over the bodies of those who opposed her in the past. Of course all of this breaks down because we haven’t even been introduced to all of the characters that are featured in the OP, and the supposed goal of toppling the color kings (or at least achieving level 10) is still quite remote. Nevertheless this episode has built up to a battle that I am really looking forward to seeing. If this show can feel this climactic this early in the season, it might turn out to be even better than I had originally thought. The artwork still looks quite good, Haruyuki hasn’t really made any great strides as a character as of yet, but Kuroyukihime pulled out the stops in this episode. 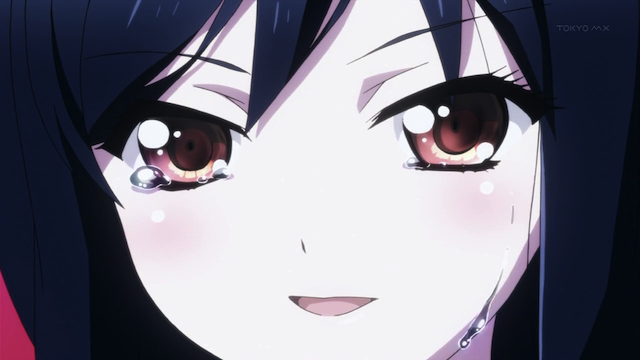 Kuroyukihime: "I revere you as a future king, but I also want to wrap you up and protect you." I’m all for an accelerated plot, as long as it doesn’t lose steam near the end. We’ll have to wait and see what happens. This early in the season it is easy for shows to completely turn around and either redeem themselves or fall completely apart.